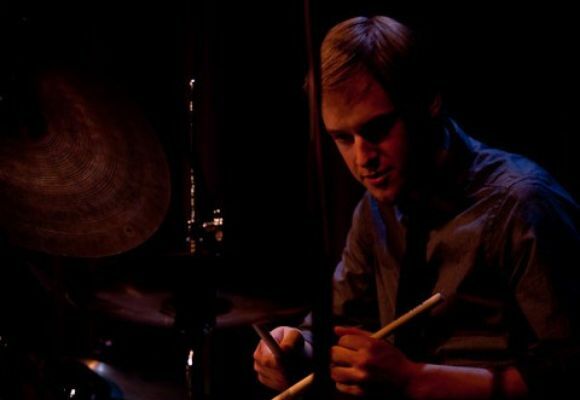 Drummer Evan Hughes was born and raised in Berkeley, California. Always strongly driven towards music, he began drum lessons at the age of 12, and was able to further develop through programs such as the prestigious Berkeley High School Jazz Ensemble, as well as the Jazzschool in Berkeley. Through these opportunities, Evan found a large Bay Area community of like-minded young musicians, who encouraged him to pursue his musical endeavors. By the end of high school Evan was fortunate enough to begin working as a professional drummer around the Bay Area, and to participate in both the San Francisco Jazz Festival’s High School All-Star Big Band, as well as the Monterey Jazz Festival’s Next Generation Orchestra. After graduating from high school, Evan decided to move to New York to begin studies at New York University. While at NYU, he worked closely with jazz icons such as Joe Lovano, John Scofield, George Garzone, Brian Lynch, Ralph Alessi, as well as studied under drummers Tony Moreno, Billy Drummond, and Dafnis Pietro. He has participated in tours of Europe, Japan, Abu Dhabi and Costa Rica, and played at many prestigious New York City jazz clubs such as The Blue Note, The Jazz Standard, Smalls, and The Jazz Gallery. With a humble and creative approach to drums and to music, Evan’s musical trajectory continues to grow and develop in multiple directions, and with it, a strong willingness to embark on the life-long journey of musical discovery and expression.